You know Joe West. Of course you know Joe West, because West is the only MLB umpire who thinks you’re there to see him instead of the game. Picking fights, escalating confrontations, offering opinions when none are asked for, and ejecting West craves being the center of attention, and wants nothing more than to eject you. 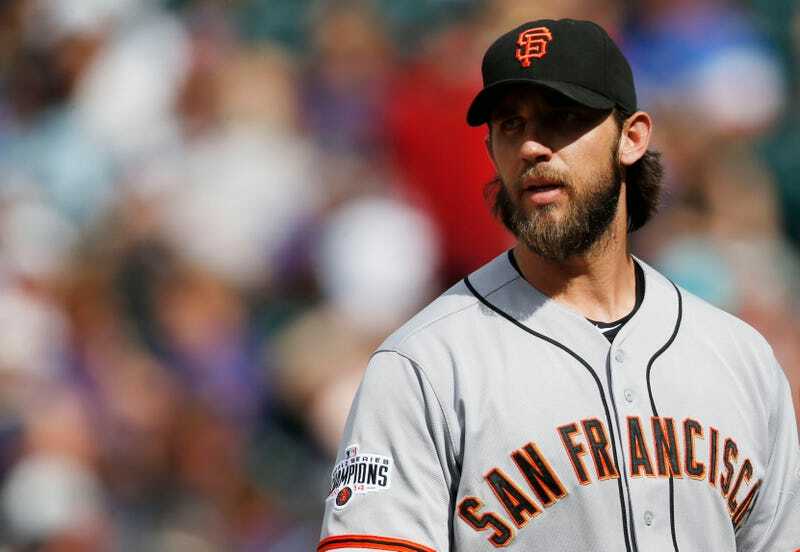 Last night, Madison Bumgarner called his bluff. The two visibly disagreed on a number of pitch call throughout Bumgarner’s start. (Here are West’s strikezone maps from the game. They’re not terrible, though he wasn’t giving pitcher the outside corner against righties.) In the sixth inning, after walking Jedd Gyorko in an at-bat with a couple close calls, Bumgarner had something to say. West removed his mask, stepped out from behind the catcher, and the two just stared daggers at each other. The staredown, according to ESPN, lasted 17.7 seconds. You could tell West was waiting for Bumgarner to say something, anything, so he could toss the pitcher. Bumgarner wasn’t about to give him the satisfaction. The Padres would come back to win the game 5-4. Afterward, Bumgarner pointedly wouldn’t acknowledge West’s existence.